This is my Mum & Dads card. and I found the image on my pc...have had it years...possibly from pc crafter? glittery stickles and glossy accents. which I chopped up separately and added some glitter too. 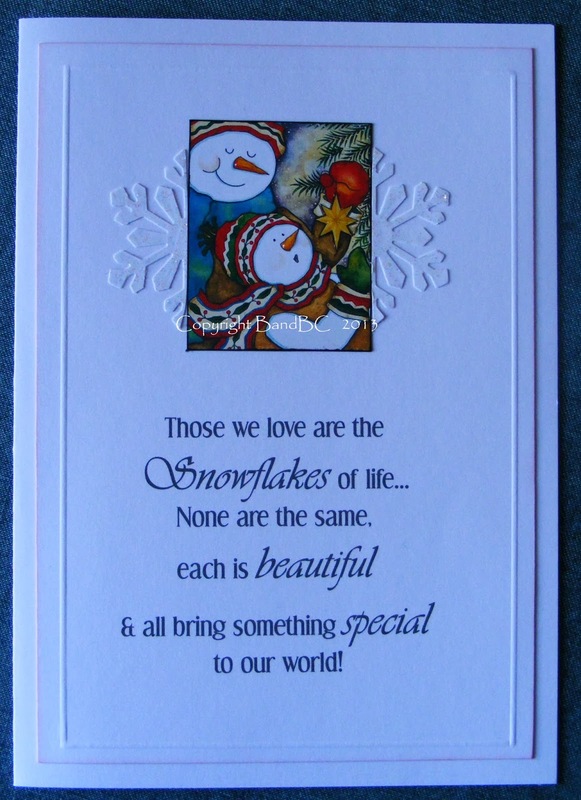 This card was for my sister, her partner and their children. which is a little glittered and glossy accented! to get it looking like that.... I can't believe I only finished these 3 cards on Christmas eve! I won't leave it that late next year! Finally, I made this card for my In-laws. I thought the image was sooo cute! and glittered for a frosty-feel. 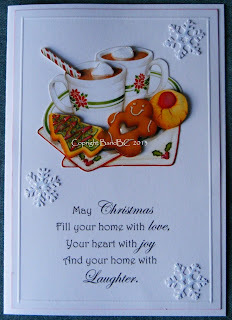 Really gorgeous card, love your style. What wonderful creations - I'm sure all your family were thrilled. 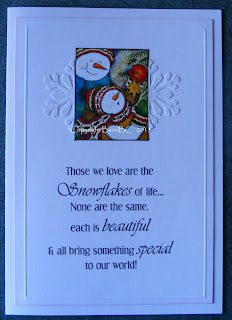 What beautiful cards and the sentiment is lovely. Beautiful, elegant cards, Vic. The larger sentiments look very chic. All cards are very sweet :) Thank you for joining us at TSTR challenge ! 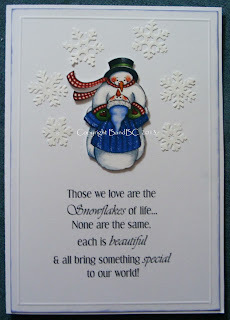 A fabulous card and a gorgeous image. It's so homely and warming. Beautiful cards. Thanks for sharing with us at Craftitude Challenges. Good Luck. 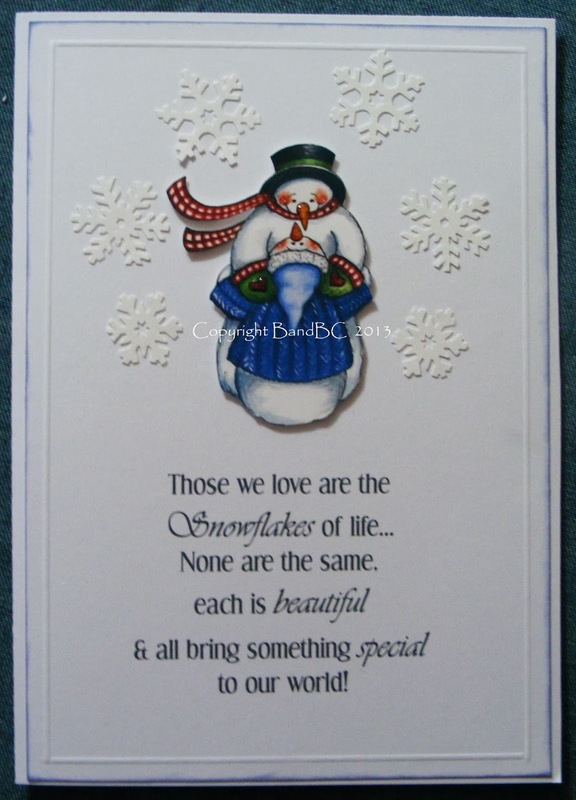 Beautiful Snowman card, thanks for joining us at Cutie Pie's. 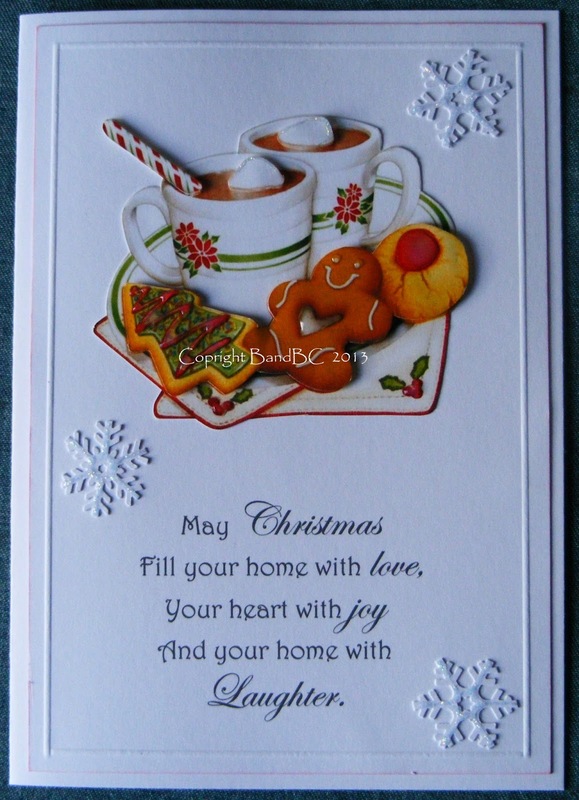 Lovely CAS cards and definitely in modern style. I would like to thank you for entering my ‘C… is for challenge’ blog and I wish you good luck in the draw.